Cheese may seem perfect as is, but in fact, it can become even more perfect when served properly. Emily Lindh, the fromagère at the cozy Brooklyn wine bar Denizen, spends a lot of her life thinking about cheese. 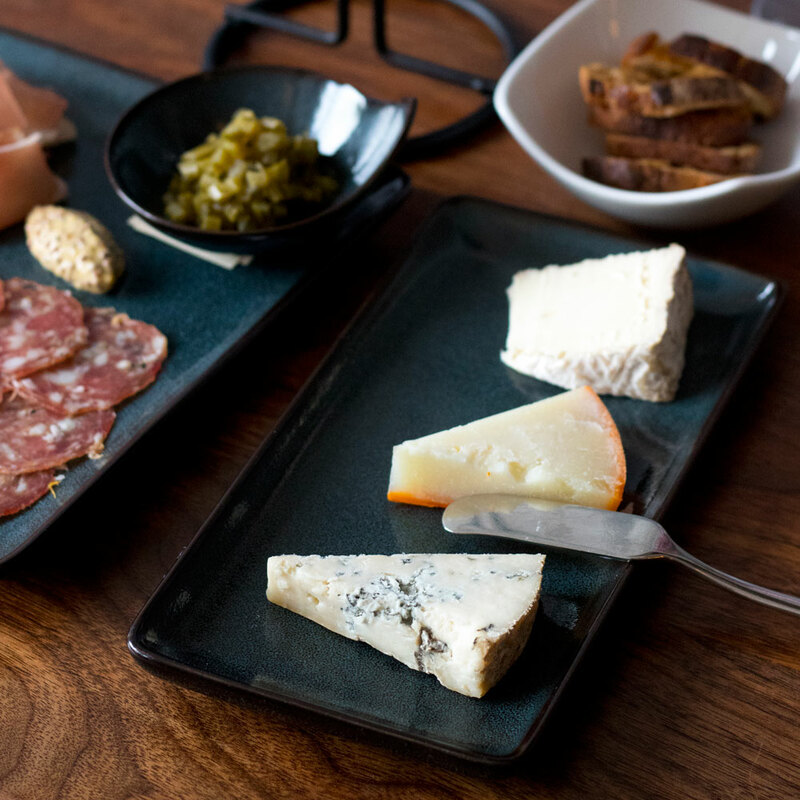 Denizen's thoughtfully curated cheese menu is a New York stand-out, but you can just as easily recreate an impressive cheese spread for guests (or yourself) during the holiday season. Becaue nothing says "it's time to celebrate" like a large board of cheese. Here, Lindh demystifies cheese boards, offering the five essential qualities you must keep in mind to make a spectacular one. "You want to be sure you can offer something to everyone, from mild to pungent, soft to hard, creamy to crystally, etc," says Lindh. You should also find cheeses that are made from a variety of milks, like goat, sheep, cow and buffalo, for example. "The milk from different animals has different tastes and characteristics, like the tanginess of goats milk or sweetness of sheep's milk, fattiness of buffalo milk," she says. "You want a variety of age, moisture, textures, rind types and styles of cheese. It's also important to think about the provenance of cheese and mix that up, as well." The items you serve with the cheese, like jams or spreads or nuts, should vary depending on whether the board is being served at the beginning or end of the meal. "I feel that any cheese can start or end a meal on it's own, but once you throw in something to pair you'll want to keep things like mushrooms, mustard and pickles at the beginning and chocolate, fudge, or brittle for dessert," she says. "But that's only if you are a rule follower, wherein this case it's easy to bend the rules. Fruit and nuts work any time." "Serving cold cheese, hands down, is the biggest mistake people make," says Lindh. "Cheeses need time out of the fridge to temper and wake up all of those flavor molecules. It makes a world of difference." Most importantly, Lindh suggests tasting a cheese before serving it, as a cheese evolves over time and "the texture can change from the first piece to the last due to ripening." And pay attention to contrast in textures when choosing both your cheeses and accoutrements. "It also goes back to variety and having a nice balance of sweet and savory condiments, spreadable or crunchy for contrast, even colors so your cheese presentation is a visual treat as well," she says. This article was written by Maria Yagoda from Food & Wine and was legally licensed through the NewsCred publisher network. Please direct all licensing questions to legal@newscred.com. Mastered the cheese board? Check. Now throw in a few antipasti recipes and you're ready to party. Both this Antipasti Platter and Grilled Vegetable Antipasto Bruschetta should do the trick.